What made Parineeti Chopra, Ayushmann Khurrana lounge all day? Parineeti Chopra and Ayushmann Khurrana spent their Sunday lounging around to keep awake for a night shoot for their upcoming film Meri Pyaari Bindu. Actors Parineeti Chopra and Ayushmann Khurrana spent their Sunday lounging around to keep awake for a night shoot for their upcoming film Meri Pyaari Bindu. 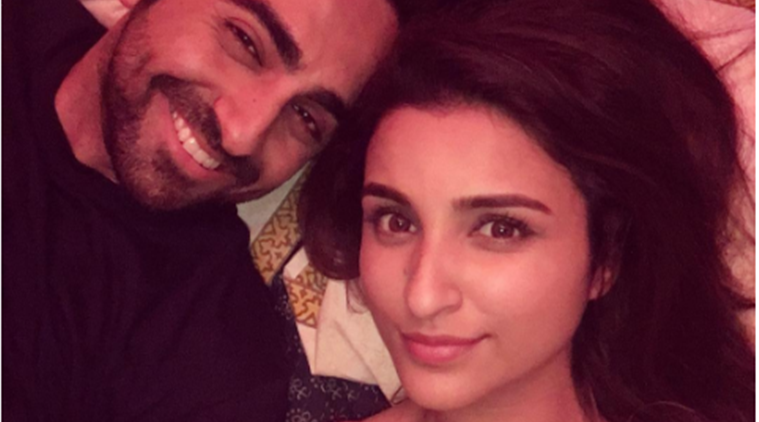 Actors Parineeti Chopra and Ayushmann Khurrana spent their Sunday (June 12) lounging around to keep awake for a night shoot for their upcoming film Meri Pyaari Bindu. “Lounging around on a Sunday. Only way to keep awake at night shoots,” Parineeti tweeted.